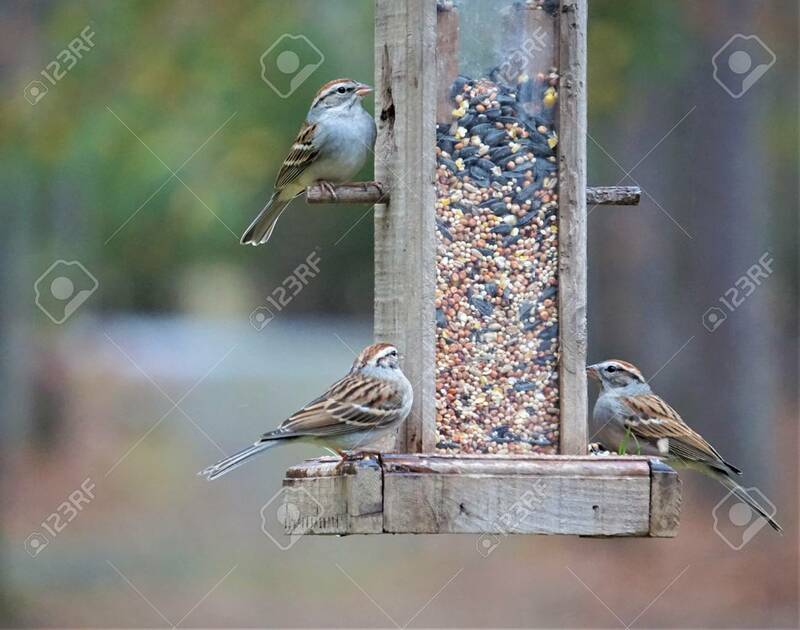 House Sparrows ( Passer Domesticus ) Perched On The Wooden Feeder.. Stock Photo, Picture And Royalty Free Image. Image 106415813. Stock Photo - House sparrows ( Passer Domesticus ) perched on the wooden feeder enjoy eating and resting on the blurry background garden, Autumn in Ga USA. House sparrows ( Passer Domesticus ) perched on the wooden feeder enjoy eating and resting on the blurry background garden, Autumn in Ga USA.